So, I was excited to try this new recipe I found for a project at work. 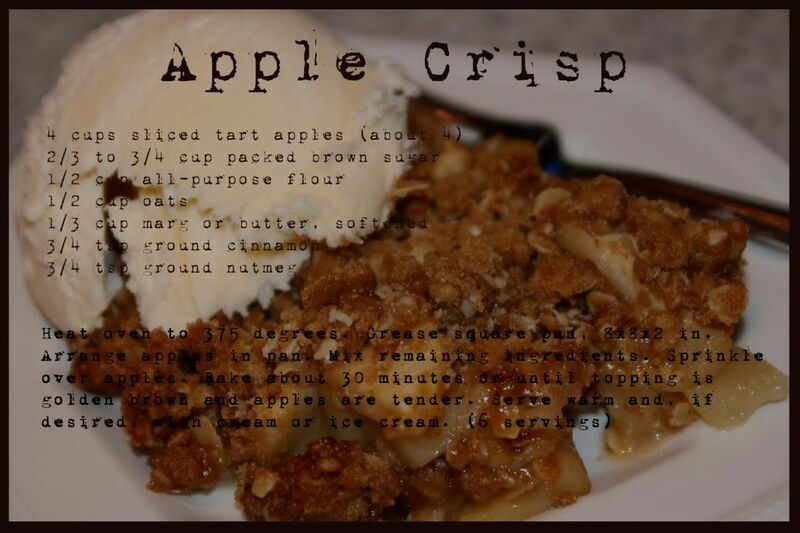 It was called "Best Apple Crisp Ever" from allrecipes.com, but when I was about to make it I realized that it didn't call for oats or nutmeg. So, I went back to what we know and love from Betty Crocker. It's super easy and what's fall without it? This is in a 4x6 format, just print it out. What program do you use to create these recipe cards? They are so cute. I love them!